Part One It was an anniversary that prompted much reflection. The Platform had completely triumphed and was now ubiquitous, relied on by people all over the world. You could find the Platform in almost every conceivable kind of device, from cars to TVs. Although Apple had once been the pioneer, it now had to settle for life in the Platform's shadow: as a high-margin boutique, catering to a wealthy minority. The Platform was what everyone else used. But people wondered how we allowed such a key piece of human infrastructure to be so unreliable and insecure. And the Platform owner seemed to relish destroying competition. What would it destroy next? Yes, in 2003, Windows turned 20 years old. But hang on. Android is 10 years old this week, and every word above that describes Windows in 2003 also applies to Android today. In 2012 we wrote that Google let "just about anything into its Android Marketplace". How accurate is that statement today? Well, last week we reported that a fake WhatsApp clone had tricked over a million users. So go figure. I won't repeat platform war stories that have been told thousands of times before. About how RIM, and especially Nokia, reacted to the competitive challenge posed by Apple so poorly. The victors are the ones who write history, so we tend to overlook that Apple, for a long time, was taking baby steps, tentatively learning how the industry worked. So Steve Jobs gave the world four years' notice – from announcing the iPhone to going truly mass market, and removing the carrier exclusives from the iPhone in 2011. That was four long years for the mobile industry's best brains to come up with something iPhone-like that customers wanted. That period (2007-2011) was crucial. Long enough to develop a platform, and a range of products that use that platform. The former leaders have become footnotes because of what they did or didn’t do in that period. With the benefit of hindsight we know that if Nokia had been less complacent, and with better leadership, it could have released its Linux much earlier. By the time Nokia shopped its Linux around the industry – take our platform, please! – nobody wanted to know. 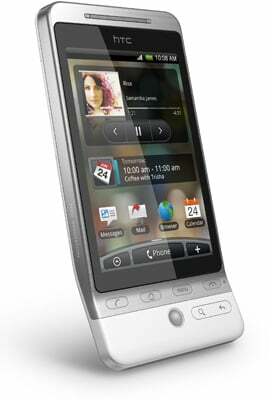 If Palm had not been so greedy for hardware profits, and given away the superb WebOS it had developed, the industry may look very different. And if Samsung had followed Google's path, and been more ambitious and open with Bada, who knows? Bada was aimed too downmarket and while it could be described as a "simmering success" in August 2011 low-cost Android wiped it out. Java was too rich for Flash. The hardware industry revved itself up to run Android with multicore processors, and lower-spec platforms became irrelevant. So timing was everything. No platform failed because of "poor marketing", a frequent cry that goes up from techies whenever a beloved superior product has failed (cf. Amiga, OS/2, BlackBerry 10). It's just that Google was in the game, at a time when others didn't realise what the game was. Or did, and couldn't turn the ship around fast enough. Android succeeded because it was just about good enough, and its parent was prepared to cross subsidise it hugely. 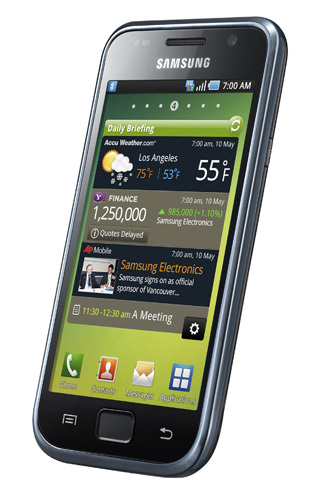 Android wasn't brilliant, although it was better than Bada, and uglier than WebOS. Symbian simply wasn't competitive. If you were a Samsung or Sony or HTC, then Android gave you what you needed, it gave users a good-enough experience. Developers were happy writing for a Java OS, it was a doddle after writing for WM and Symbian. Not everything Google did was clean, but Android won the platform war fair and square – or at least square. Android won because it was the cheapest and readiest alternative on offer to a market that needed stuff to sell where Apple had just dramatically raised expectations. Google worked very hard on turning a bland and immature Java OS into a rich platform, so "just about good enough" became really OK.
For everyone else – phone makers, chip makers, and networks – with Android, the incentives were lined up. The first Android was a BlackBerry-alike. In August 2009 came an Android that wasn't – the first from Samsung. Just under a year later, the the Samsung Galaxy S arrived. As reviewer Dave Oliver noted, it had a large and impressive OLED screen. But also a "plastic back" that "feels cheap". And it was a gas guzzler. "As we'd feared, despite the presence of a large 1500mAh battery, the Galaxy S is still a thirsty beast, and we barely got a full day of, admittedly, heavy use out of it." That set the pattern for the Galaxy S range for the next four years. And for how the industry used Android – with supercharged hardware. Motorola also had a significant part to play in Android's success – here's the Droid review – as did Verizon. Carriers like Verizon had been snubbed by Apple's carrier exclusive strategy, and Verizon was badly burned by the BlackBerry Storm. It went all in. Android is far bigger and far more invasive than a PC could ever be. Google's dominance over our personal lives is far greater than Microsoft's ever was. The clunky laptop in the corner did not track your every movement or read your emails. Here's another prescient piece I found mining the Reg archive. Our Bill Ray was an enthusiastic early adopter. But December 2009 finds Bill lamenting that carriers and Google can't be bothered to update the platform after releasing phones. Sound familiar? But after the Galaxy S2 raced past 10 million units sold, the game was over. It was hard to imagine any other platform being able to steal the initiative. Android's success was assured much earlier than was evident, as it was masked by long two-year phone contracts. Many featurephone or legacy smartphone owners were locked in. By the end of 2010, Android had been thoroughly de-risked. It came in phones like the Galaxy S that had nice large displays and removable batteries, giving the Android world something to offer that Apple didn't. In April 2011, Android took #1 spot in platform market share for the first time in the US. Android now claims over 80 per cent worldwide. Why did a Java OS succeed for Google when it had failed before? SavaJe had been touted as the industry saviour years before and swallowed over $70m in VC investment. But it was mobile operators running the show, having to deny they were a sinister cartel. Google didn't appear as conflicted. SavaJe was eventually sold for scrap to Sun. For Windows 2003 to become Android 2017, merely add the obvious: Android is far bigger and far more invasive than a PC could ever be. Google's dominance over our personal lives is far greater than Microsoft's ever was. The clunky laptop in the corner did not track your every movement or read your emails. It didn't try to be "smart" – or at least if it did, the derision ensured it did not try for long.